NORTH BAY, Ont. 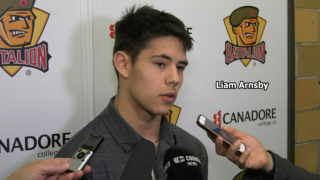 — Adam McMaster headlines four North Bay Battalion-affiliated skaters invited to Hockey Canada’s national teams’ summer showcase at Calgary next month, it was announced Tuesday. 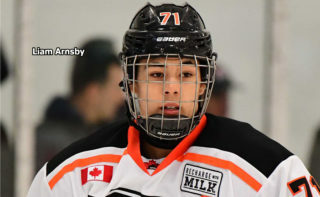 Centre McMaster is one of 20 Ontario Hockey League players invited to the selection camp for the Canadian under-18 team that will compete in the Ivan Hlinka Memorial Tournament in the Czech Republic and Slovakia in August. 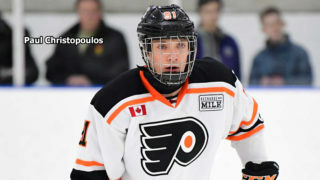 Prospective members of the Canadian under-17 team include right winger Brandon Coe, centre Kurtis Evans and defenceman Payton Vescio, all of whom were chosen by the Battalion in the OHL Priority Selection on April 8. Coe was the Troops’ first-round pick, while Evans was tabbed in the third round and Vescio in the fourth. 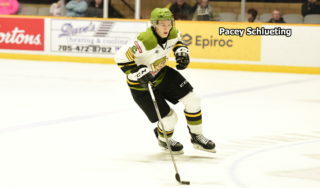 McMaster, a resident of Beamsville, Ont., who was the Battalion’s first-round selection in 2016, scored five goals and added 19 assists for 24 points in 61 games as a rookie. He won a silver medal with Canada Black at the 2016 World Under-17 Hockey Challenge at Sault Ste. Marie. 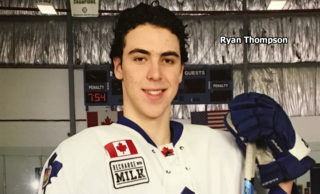 Coe, selected third overall in April, is an Ajax, Ont., resident who played last season with the Toronto Nationals minor midgets. 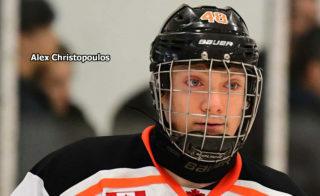 Evans, from Uxbridge, Ont., skated with the Central Ontario Wolves minor midgets, and Vescio, a North Bay native, played with the North Bay Trappers midgets. A total of 44 OHLers were invited to the under-17 camp, which opens July 22 and is followed by the under-18 session. No Battalion members were among 20 OHL players invited to the Canadian national junior team’s summer development camp, to be held at Plymouth, Mich.
Ryan Jankowski, director of player personnel for Hockey Canada, was responsible for player selections, with help from five regional scouts, Canadian Hockey League general managers and branch representatives for the under-17 roster, and with input from CHL coaches and GMs for the under-18 and under-20 rosters. The 2017 World Under-17 Hockey Challenge is to be played at Dawson Creek and Fort St. John, B.C., and the 2018 World Junior Championship at Buffalo.